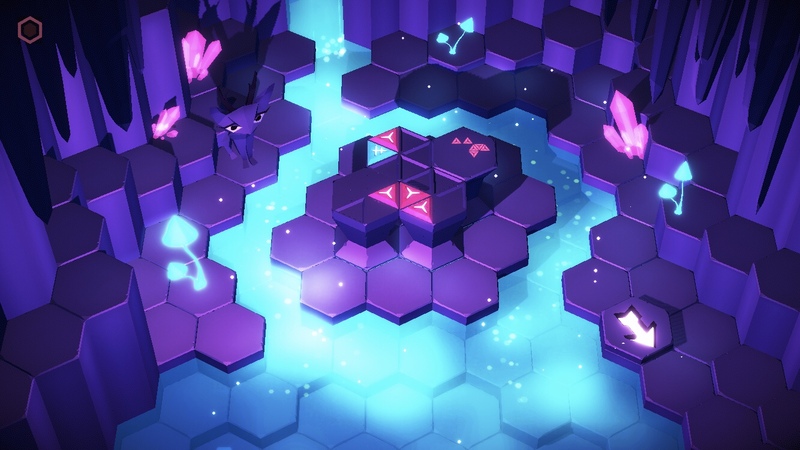 Flippfly, the makers of the heart-pumping reflex-based flyer, Race the Sun, are back with a new game where they’re trying their hands at a more relaxed genre — puzzles. Their latest endeavor, Evergarden, is an endless merging game that’s mostly about the high score, but also about the journey there. Merging games aren’t anything new to the App Store, but they usually come in the form of free with multiple currencies, energy, and in-app purchases. Where Evergarden stands out is that it’s a fully premium experience and there’s no extra nonsense to worry about. 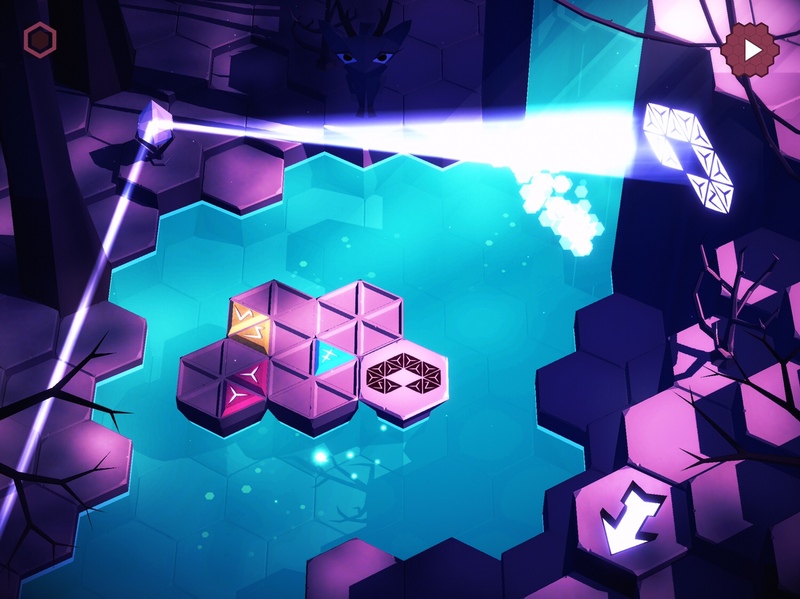 It also features solid gameplay mechanics that offer a ton of depth and room to grow as a player. You’re mostly thrown into Evergarden without any instructions, expected to play around and learn as you go. It’s more satisfying to figure things out on your own, so I’ll do my best not to spoil too much. 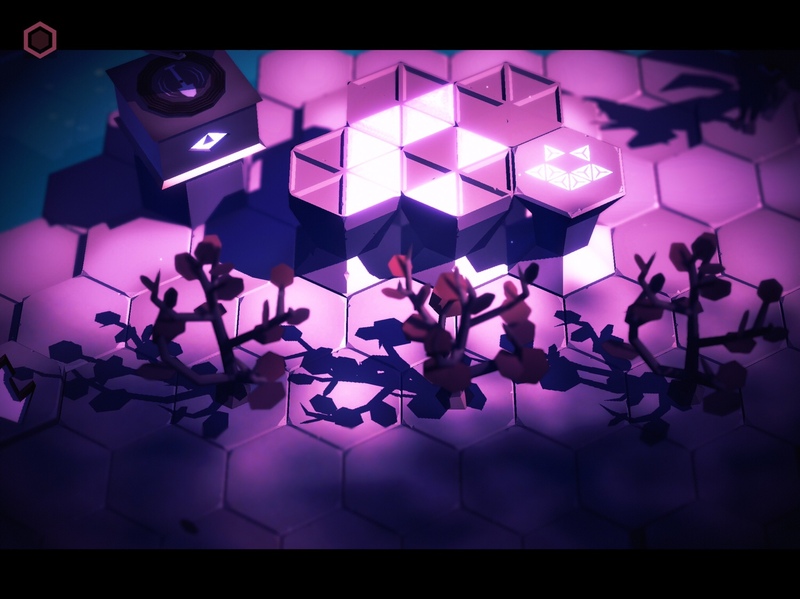 But the gist of it is that you have a garden made up of nineteen hexagons where you can plant flowers. The game starts you off with a scattered few, which you can then either pull on to drop a seed on an empty spot, or pull over to another matching flower next to it to merge them and upgrade the flower to the next level. If you pull out a seed from a flower, it’s done for that turn. Once you either run out of moves for a turn or feel satisfied with the moves you’ve taken, you can tap the clock to grow the seeds you planted. This uses up one of your limited turns, though there are ways to earn more. But if you run out of turns or possible actions, it’s game over. 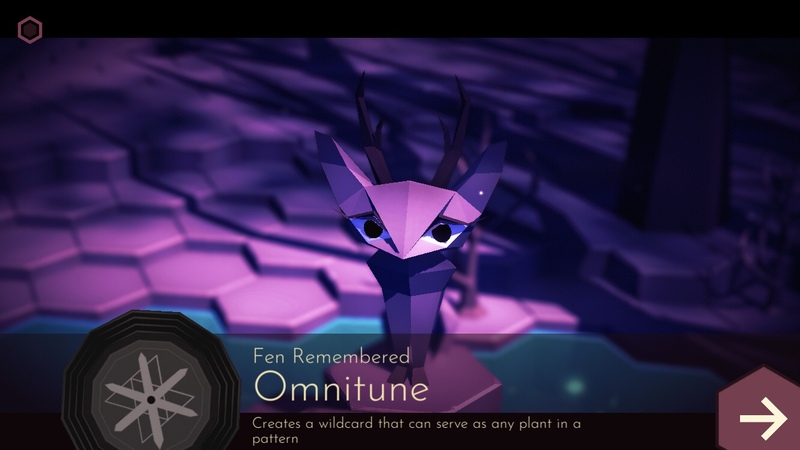 There’s also an antlered cat creature named Fen who is sort of your spirit guide, and she requests certain patterns from you. Fulfilling her request will reward you with a bonus flower you can pick up and place anywhere on the board. These flowers are the key to achieving a higher score. There’s other things to discover, too, but I don’t want to spoil that here. If you’re already playing and want some tips, though, you can try my walkthrough guide. Now, as relaxing as that sounds, there are obstacles to overcome. Pesky critters like armadillos and rabbits will occasionally burrow up into your garden and either block your path or flat-out eat your flowers! This also means luck plays a part, but that’s to be expected with any randomized high score chaser. I’ve had games with almost no rabbits and others with so many that I started to empathize with the villain in the latest Peter Rabbit adaptation. You may also have a better game if Fen gives you patterns you can make quickly with what you already have so you don’t have to spend extra turns to get to it. 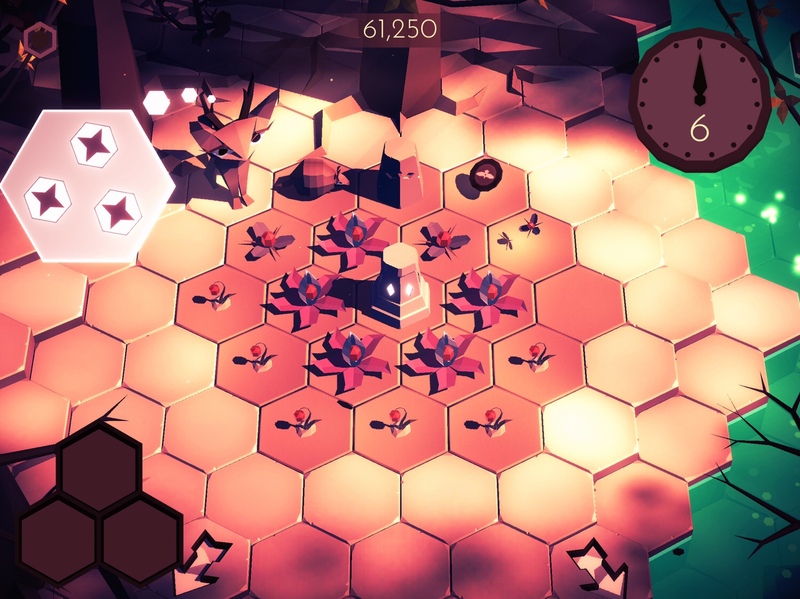 There are also limited-use power-ups you can earn by solving puzzles outside the main map. These are completely different from the core game and they add some welcome variety, even though they’re mostly part of the story mode. 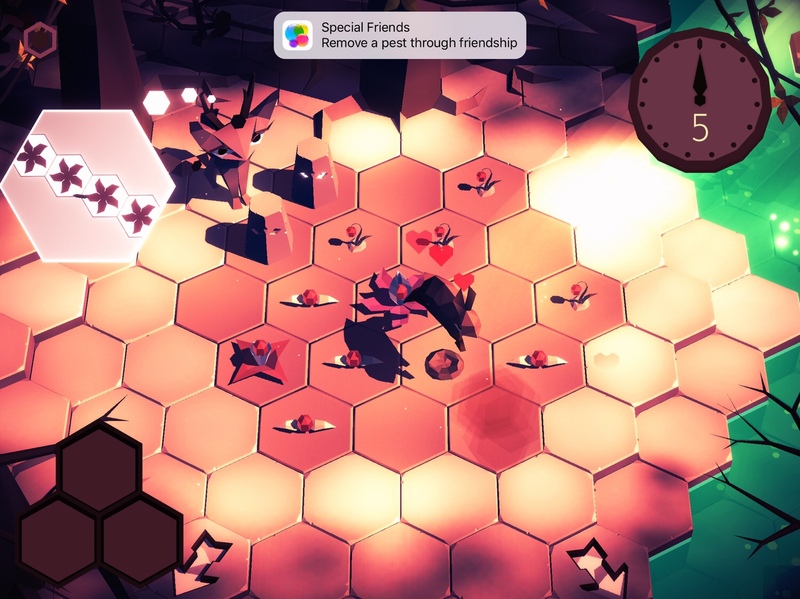 You earn items in the endless mode that can be used in the side puzzles, which in turn benefit the core game. It also gives you something to work towards besides a high score, so that’s appreciated. Normally I’m not a fan of a “grind” to earn beneficial items in a high score chaser. I complained about that with holedown, because it felt like I was playing just to earn upgrades so I could compete in the leaderboards. But there, the upgrades felt more artificially constructed to extend playtime. There was no way you could possibly compete early on with others. That’s not the case with Evergarden. After unlocking all the power-ups on my iPad, I started a new game on my iPhone and got my highest score so far with only the first two power-ups unlocked. So the power-ups here do help, but with some skill and strategy you can still compete in the leaderboards even without them. And chances are, you’ll still be learning things by the time you unlock all the power-ups. Also, you can only take three with you into a game, so there’s strategy even there. I already have my three favorites, but they may change after more experimentation. Now, I cant review this game without discussing the audiovisual experience. First off, the color palette is just so easy on the eyes, making it a pleasure to look at for hours. 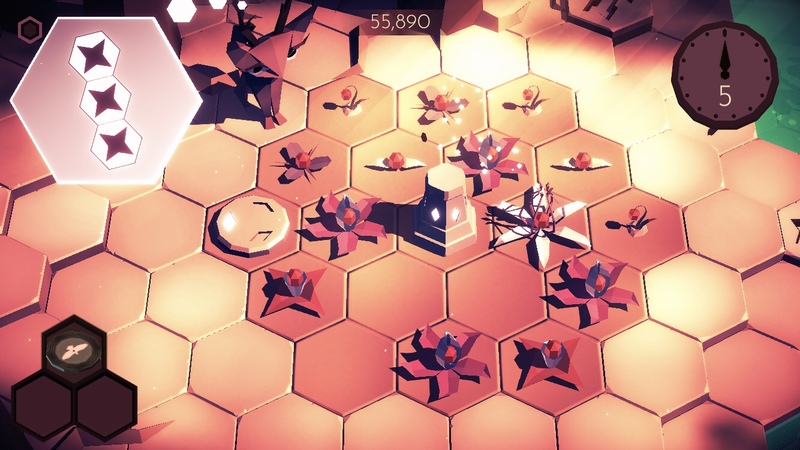 It’s also endlessly fascinating to watch the flower animations as they hop from hexagon to hexagon. And of course, there’s Fen. Who doesn’t like a supernatural buddy to keep you company? Sure, she can be a little demanding, but she rewards you for your trouble. Now, the main soundtrack is fairly muted, but for good reason. The flowers all make musical notes when they grow. On top of that, using one of the power-ups plays that particular tune. And when you unlock a tune, Fen nods her head along with the music. It’s really quite charming. All these little details, along with the lush forests and waterfalls and other secrets you can find throughout the map show how much care and attention went into this game. It’s also a loving tribute to the developers’ mother, who enjoyed puzzle games but sadly passed away before the game was finished. The ending reflects this and was a bit of a punch in the gut for me. But I’m glad I was able to take this heartfelt journey with them while also playing a darn good game. I do have some minor complaints, though, that affect the game’s mobility. First off, there’s no iCloud sync, so you’d have to catch up on your other device if you want to play on more than one. I started on my iPad but missed being able to play on the go, so I played through the whole thing again on my iPhone. It’s not ideal, so iCloud would be appreciated in the future. But besides that, the game heats up my devices and drains the battery fast, making it hard to play much away from home. On top of that, there’s no way to save mid-game, so if you only have a few minutes to play, you’re better off not starting a game. This is the type of game that would be perfect in short bursts, so I hope mid-game auto-saves could be added. These are all minor things that — along with landscape mode instead of portrait — just make it less optimal as a mobile game, and one you’re more likely to play at home. Still, it’s very much worth playing. Evergarden is the best kind of endless high score chaser. It seems simple on the surface, but with time you hone your skills, find new strategies, and work out how to get higher scores. I do hope the problems listed above can be worked on, but either way I’ve already poured hours into this game and plan to keep it on my device as one of my go-to games when I’m looking for a relaxing but challenging time. It makes a great bedtime game, too, except for the battery drain. 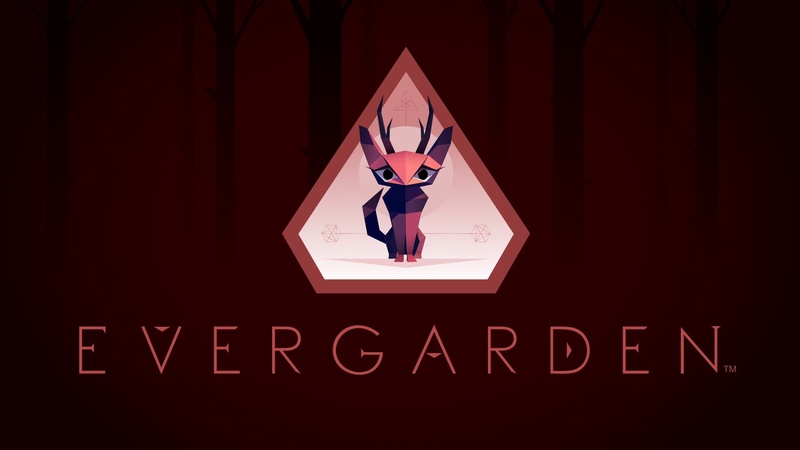 If you like puzzlers with some randomness and luck mixed in and chasing high scores, just grab the game here and start tending your flowers. Wow! I love how this game takes fundamentals from merging games like Triple Town but then adds ever evolving twists and turns as you play it more. 5/5! Glad you’re enjoying it! Yeah, there’s so much depth. I still have so much to learn!